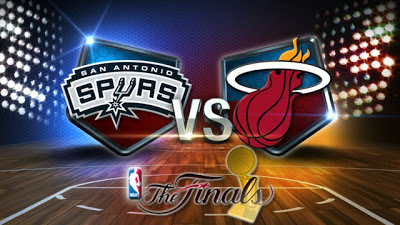 Everyone is talking about the game - HEAT vs SPURS. Guess what? I don't give a damn with this year's NBA Finals. LOL! I'm just not into basketball, I guess. Maybe I'm missing something fun about cheering for an NBA team. I feel like it's a waste of my time and energy. I don't know. Maybe I'm not the kind of person who goes with the norm. I'm just not a fan of NBA. Or I just don't have anyone to watch the game with.